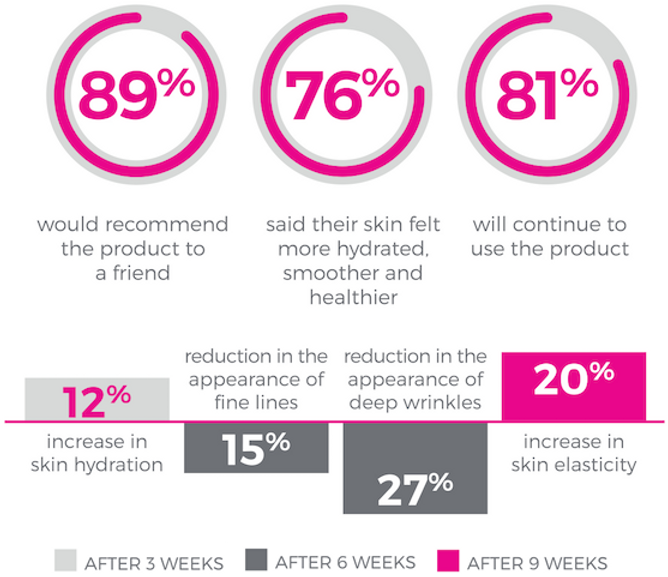 WHATS THE SECRET OF OUR COLLAGEN-BASED SUPPLEMENT? Made up of small bioactive peptides, it is easily absorbed in the small intestine and distributed throughout the body via the blood stream. It helps stimulate the production of new collagen, elastin and moisture retaining hyaluronic acid molecules – essential factors in maintaining a young, healthy appearance. Liquid absorbs 20x more than tablet form. Collagen is a protein found naturally in the skin, preserving its ﬁrmness and elasticity. Collagen is also found in joints, keeping them strong, lubricated and healthy. Collagen formation occurs naturally throughout our lives. 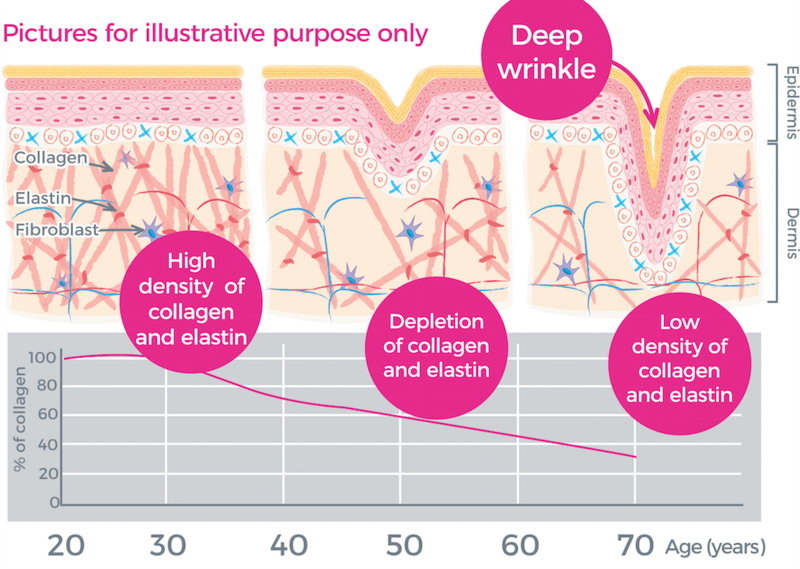 However, with time collagen production slows down at the age of 25 and continues to gradually decrease. This causes visible signs of ageing, such as ﬁne lines, wrinkles and sagging skin, as well as joint discomfort. 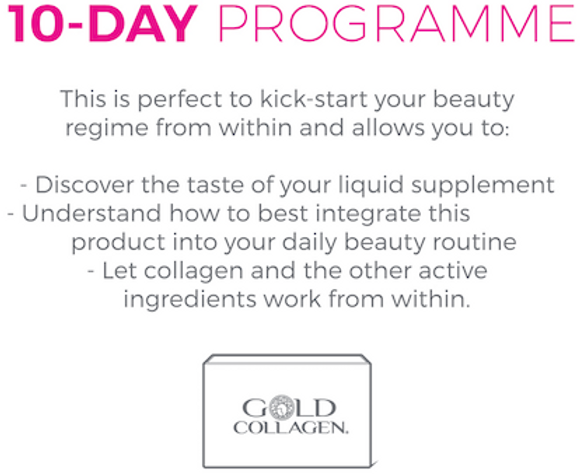 By following our recommended programmes you will be able to rebuild collagen effectively. Science and research are at the core of our values and drive every aspect of our business. Our in-house doctors, nutritionists and clinical research experts collaborate with universities and independent clinics to test the efﬁcacy and safety of GOLD COLLAGEN® products. WHICH ULTIMATE PROGRAMME IS FOR YOU?